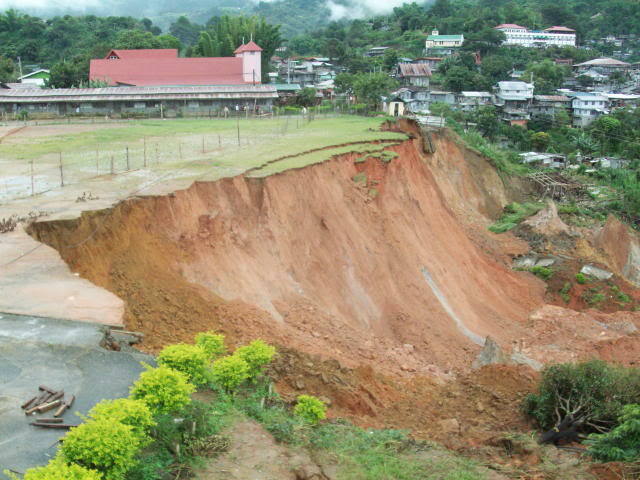 oh my gosh, phil am suyayen was texting this morning about the new landslide...to see the pictures now...ay makitakon nga talaga. ala kabutbuteng. sayang diay tree diay sango ti 1st building, ado memories diay. ken nahalf en diay agdan. ala han pay nakalahati school year. 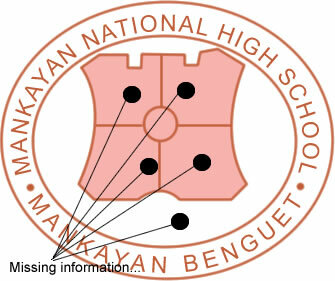 anya plans ti local government about the school and students ngay? i suggest siguro kung possible stop na muna nila ang class kasi nakakatakot ei.. it will be very risky for the teachers & as well as the students.. nd natin alam kung yung school ground ei safe pa... the local gov't is having a round a clock monitoring db? ano po ba ang mga steps na pwedeng gawin? nakikipag-usap rin po ba kayo kina mayor? mga ading..we all feel the same..so i think let's be patient n lng muna.. bka mapressure lng cla, that will be worse... they're just organizing themselves..
ala nmn tayong magagawa kundi wait muna, kasi as for the news nmn, they are waiting for the national gov't to do the investigation ei.. Sorry po for the delayed update... 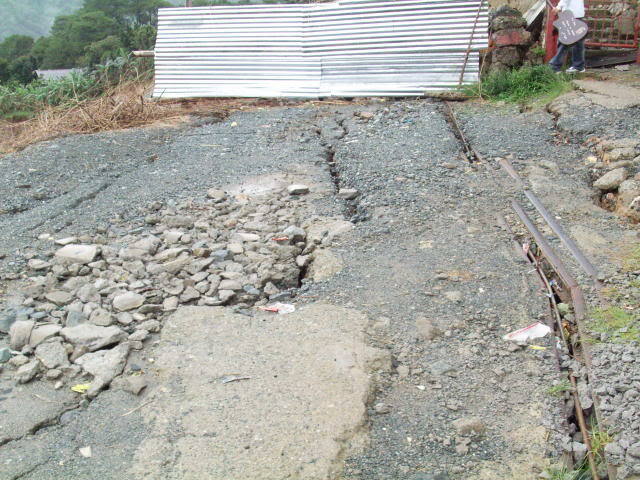 The following pictures were taken last Monday (July 13,2009)..
Ay apo ti itsura nan dta... ur mom juz told me na accrdng to experts, w/in 5 to 20 yrs fr now, the whole town might sink and vanish down under d b...?? that's really bothring huh!! .. sna nman hindi..
(Thanks for posting, Kianne. Much appreciated tlga coz u still find time to update the site inspite na sobrang busy ka kay baby..arigato ne! hmm.. Pls. don't get me wrong..it's just that, every member shld. be comfortable in joining the discussion, i believe..
kc we don't ever know, some of our co-members might be starting to get bored or worse, bka na-o-offend n pla..
u can always correct me if u find me wrong coz i myself might be saying unpleasant things sometimes... xenxa na kau..tao lng.. Anyway, i just hope no understanding errors this time..
shocking and bothering nga, may findings pala na pwedeng magkaganun?let's just hope and pray that those experts are wrong this time..
perhaps their findings aren't yet confirmed though it's an alarming fact for sure..the scaLe is getting bigger and it's not just an alumni's concern anymore..
One thing more, it's so disappointing to know that our voices are somewhat being neglected by the authorities esp. by those who are in the place to take responsibilities of our HOME TOWN's tragedy.. it doesn't seem fair..
apay ada en prayer meeting held idiay mismo nga school area? kumusta ecumenical churches tayo gayam dita mankayan? apay napan dan ikararagan diay place? 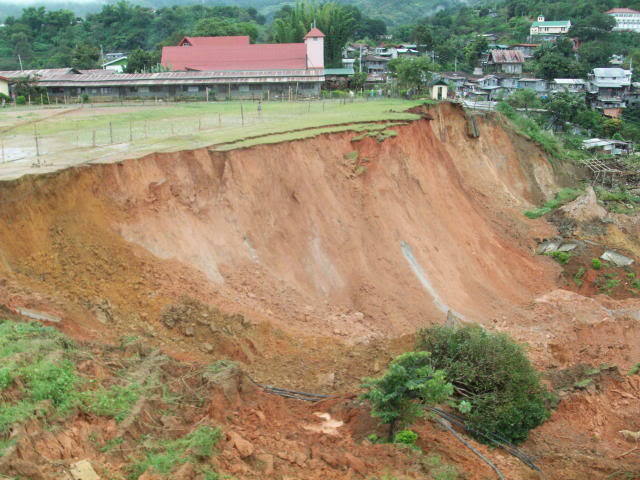 Would somebody please describe to us how does it looks down, i mean ung pinupuntahan ng lupa sa baba?hindi kasi nakikita sa mga pictures...Kung hindi na po bumababa ang level ng dating debris from the first landslide/wash-out.Nakatakot po kasi if the sinkhole continues to eat soils from this latest landslide, cause that means that the hole or cavity underneath is not yet filled.If that is the case, then then the whole town might be in real danger and i might agree that theres a fault underneath. 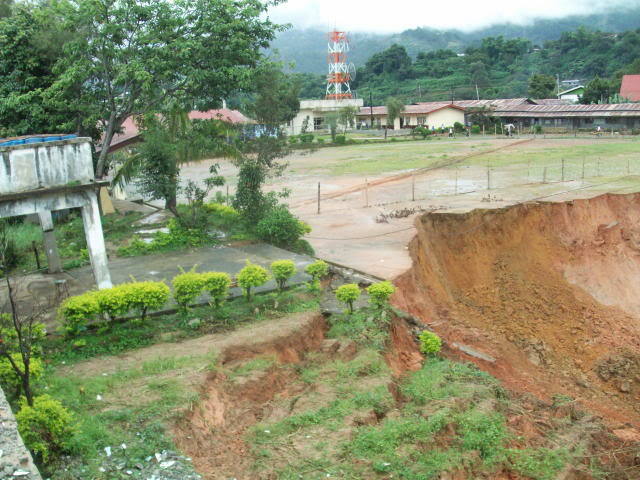 But if you can observe that the soils from this new landslide is piling on top of the initial landslide, then that is better. in addition to that FYI nd lang po sa school natin ang deeply affected... if only makuhanan nila ng pix sa may market rin may 3 stores dun ang sobrang bumaba... nagsisink na rin... so what does that mean? 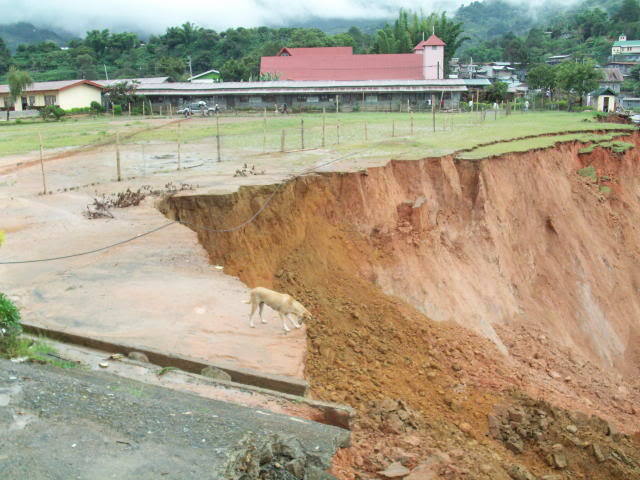 Nakatakot po kasi if the sinkhole continues to eat soils from this latest landslide, cause that means that the hole or cavity underneath is not yet filled.If that is the case, then then the whole town might be in real danger and i might agree that theres a fault underneath. 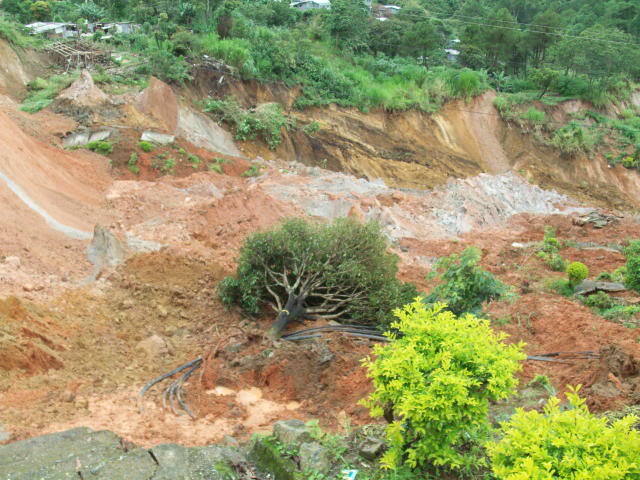 "soils are piled up.." that's a simple logic. it seems u are quite literate on the field.. that's impressive.. I hope am there... makirinig man lang sa mga forums,etc. Pero may pasok po eh.,. 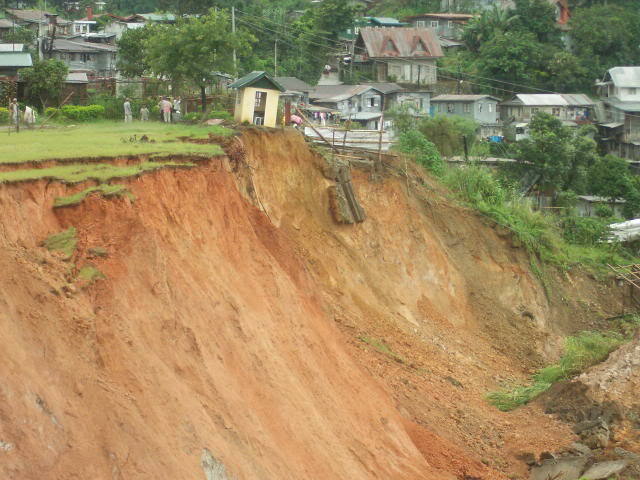 If I am to guess natabunan na yung bridge papunta sa Marivic/golf area. pwde... 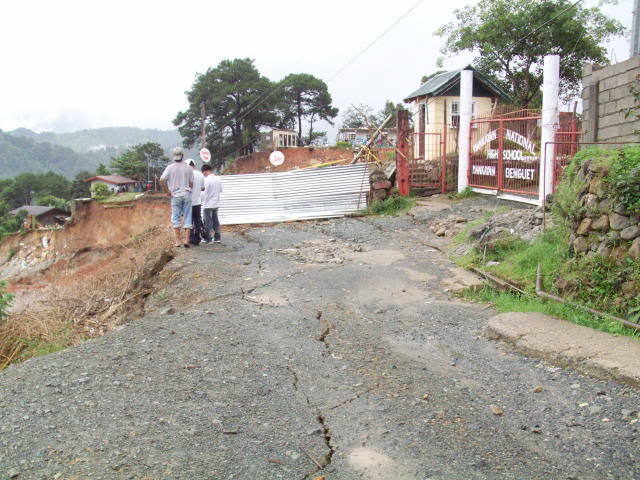 Since the damages are widen.....tsk..
la k bng blita kina ma'am Lily..? bka pwde kng magshare..
hmm lepanto golf course? magiging school? pwede na rin... papayag kaya sila?! tnx classmate pro ba't mo ginaganyan mama mo ha..? oi, ada met a ag-gogolf latta cka met..dgjy tga Sapid pay ngai iman..
gulp nga?! LOL!!! di k na ndaLa..